Berry apologizes for having sent a solicitation to Kendall's sister, of whose death the school had been notified. 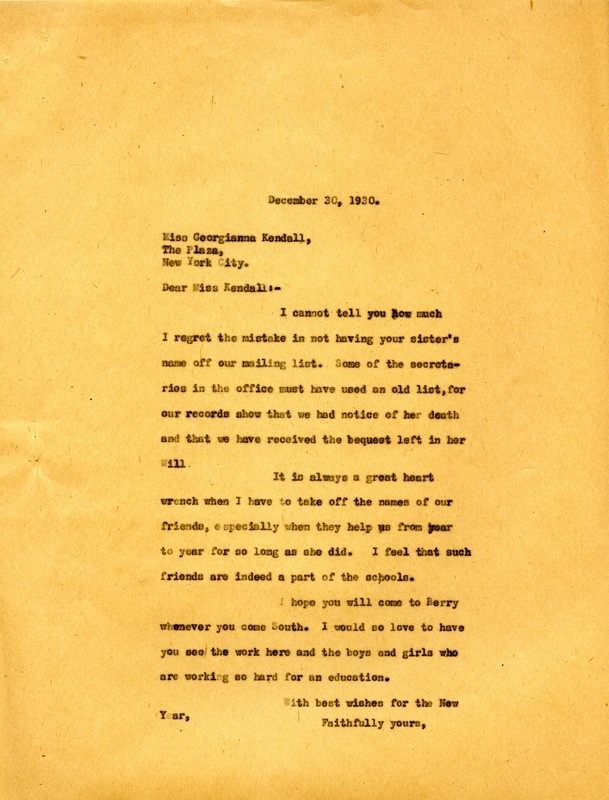 Martha Berry, “Letter to Georgiana Kendall from Martha Berry.” Martha Berry Digital Archive. Eds. Schlitz, Stephanie A., Sherre Harrington, et al. Mount Berry: Berry College, 2013. accessed April 18, 2019, https://mbda.berry.edu/items/show/13068.